← Two Days in Brussels. I have an absolute passion for Toile de Jouy fabric, it encompasses many of the things I love best – a monochrome colour scheme, it looks French, has romantic pastoral scenes. 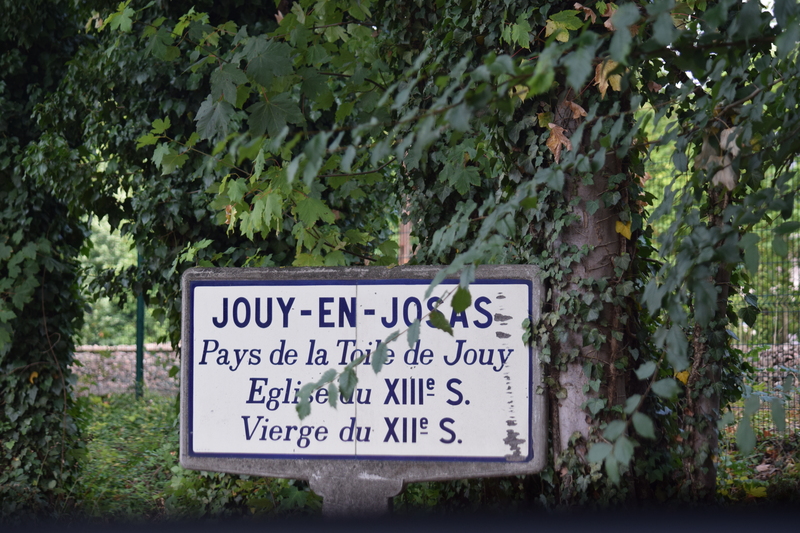 So imagine my delight to find I was within driving distance of the little French town after which it is named, Jouy-en-Josas, not many miles from Versailles. Cotton was introduced to France from India in the 17th century and quickly became popular as it was washable. Concern grew amongst the French producers of silk and wool and so its production and use in France was banned in 1686 in order to protect existing clothiers. Its use continued clandestinely, as it was imported from Ireland (Kilkenny I believe) and Britain, until the ban was rescinded in 1759, allowing a home-grown industry to develop. 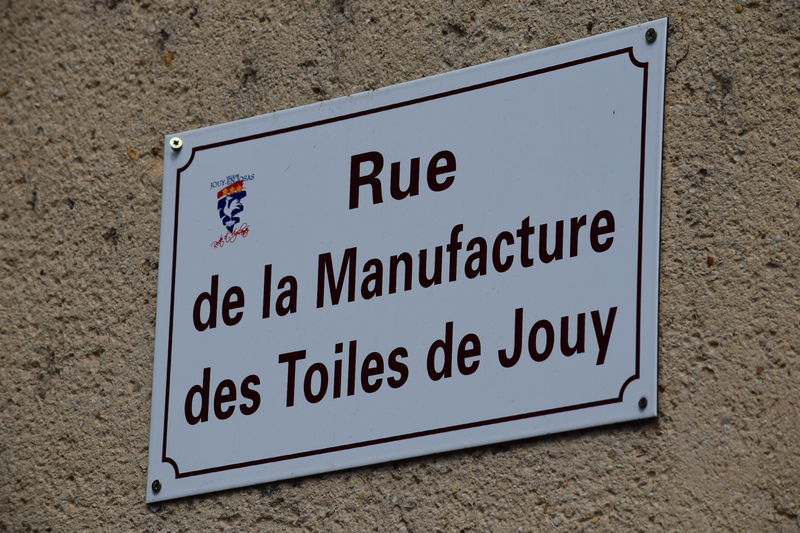 Jouy-en-Josas was chosen by Christophe-Philippe Oberkampf, a German industrialist, as a centre for production due to the clear running waters of the Bièvre river, needed in its process. Printing on this cotton toile was done by woodblock, but Oberkampf introduced copper plates to France, which gave greater printed detail and were flexible enough to form cylindrical drums. 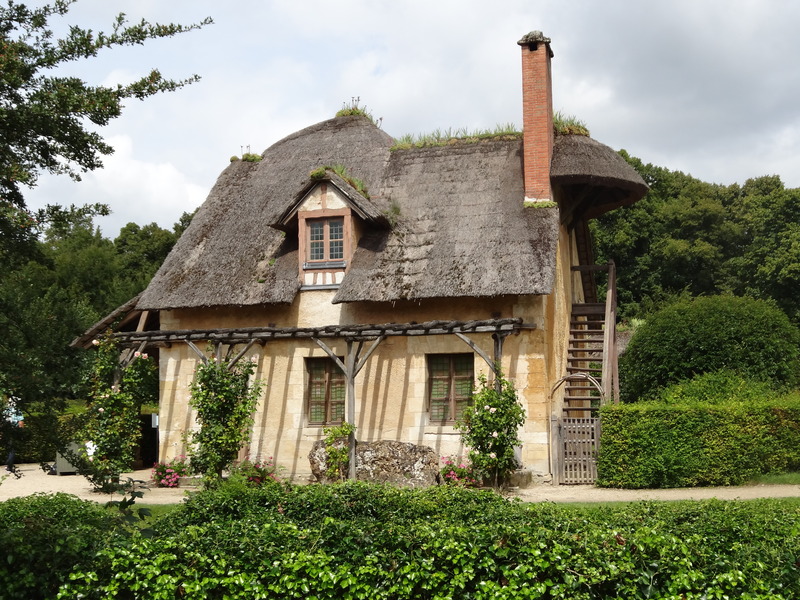 The factory flourished with over 1,000 in the workforce, Oberkampf employed artists to portray events of the day, such as the first balloon flight from the Champ de Mars in Paris, or the 18th century trend for the pastoral idyll – one imagines Marie Antoinette employing it in her rural retreat, Le Hameau! 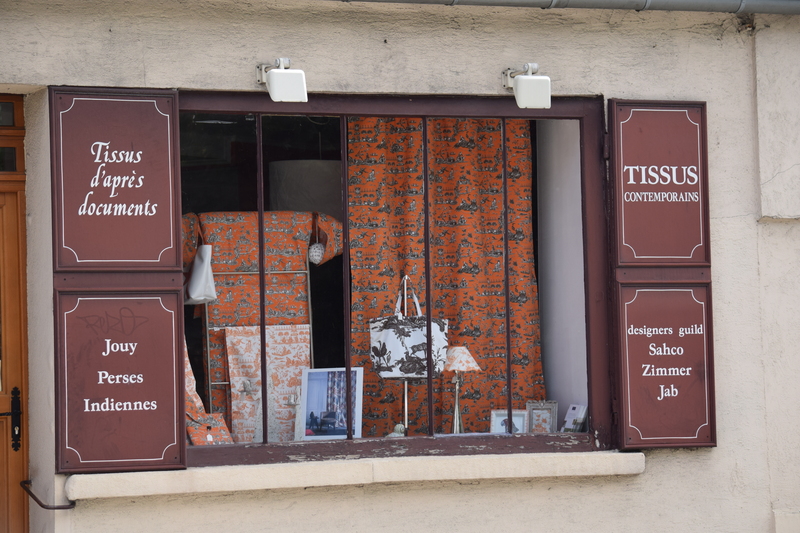 Sadly when I visited Jouy-en-Josas, being August the month when everyone in France is on holiday, the Museum and the charming fabric shops were closed. Probably just as well! Peering longingly in shop windows. 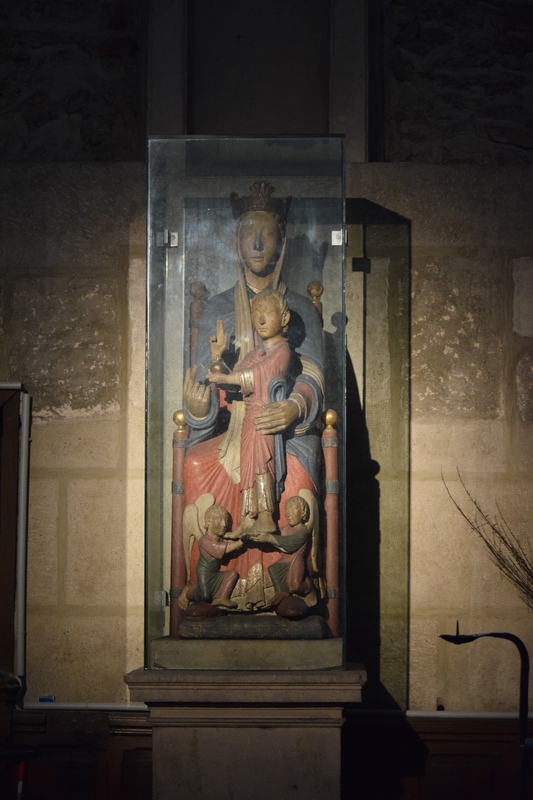 But we did stop to pay a visit to the historic 13th century Church, Saint-Martin, with its magnificent carved 12th century statue known as “La Diège”. La Diège, Jouy en Josas. 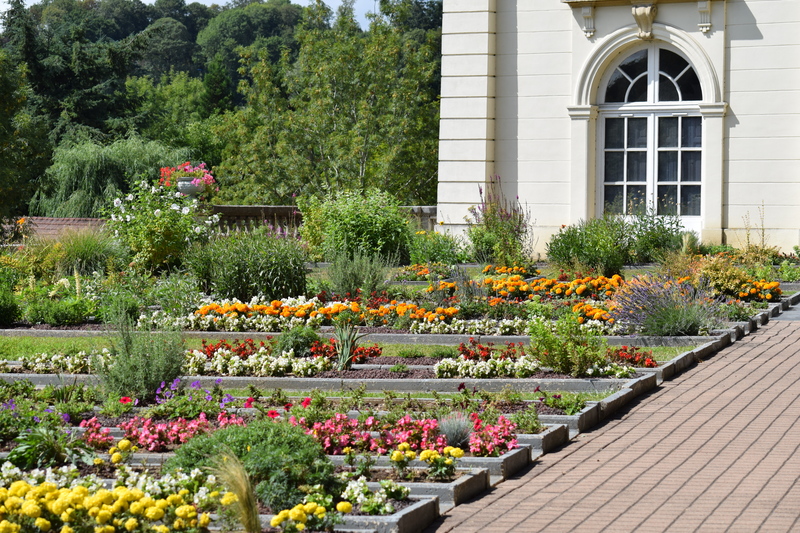 and a very closed Musée de la Toile de Jouy, though it had a very pretty garden. 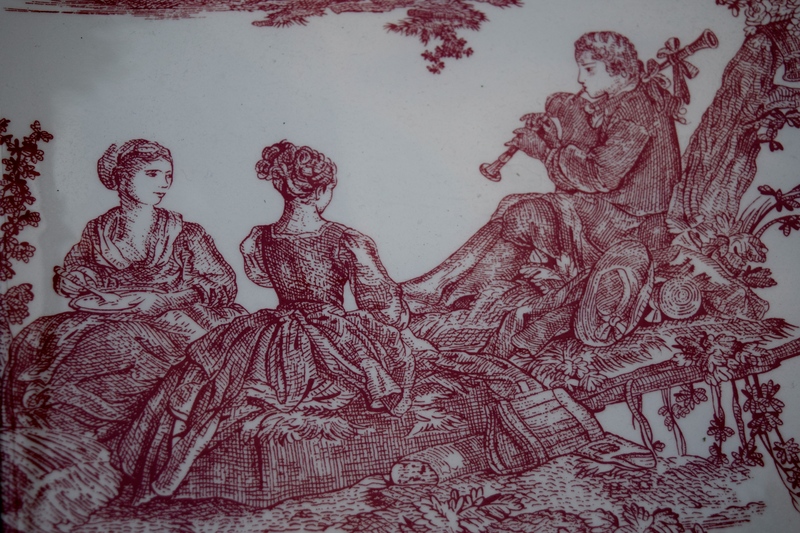 Traditionally, Toile de Jouy fabrics were produced in red, purple and indigo on a cream or white background. Toile actually means fabric but today the term is applied to the pattern used in furnishing fabrics, wallpaper and china. At home, I find Toile de Jouy in red creates a fresh look in the bedroom, teamed with white bedlinen. 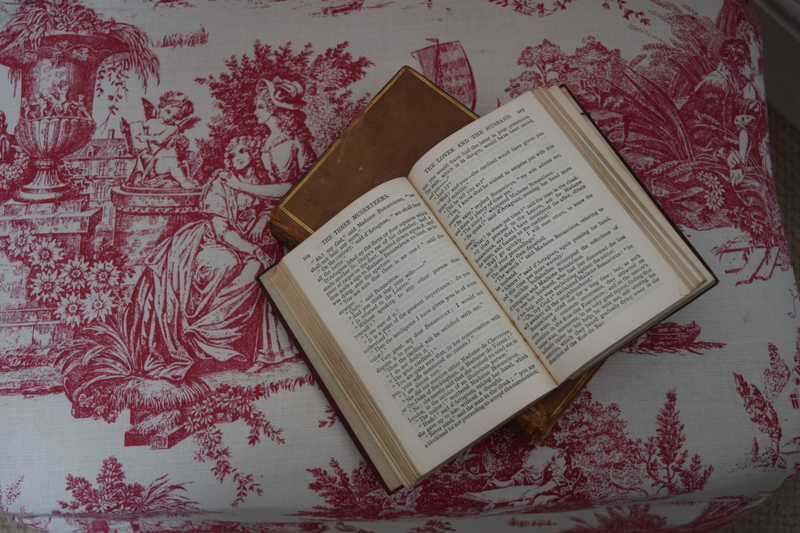 In a dear friend’s house in Normandy, I sleep in a room where she has battened red Toile fabric onto the walls and used it as curtains and bed cover too – the effect is welcoming and cosy. 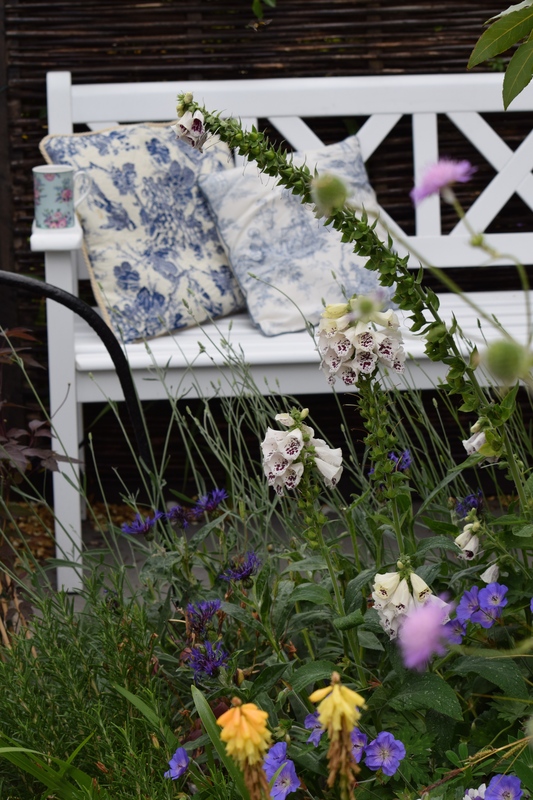 Here Blue toile smartens a garden bench. 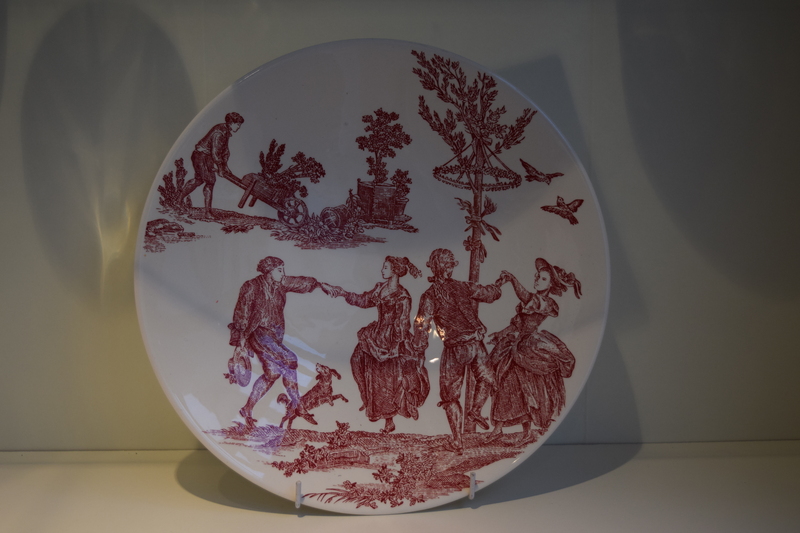 The French faience company “Gien” produces a beautiful red and white toile dinner service called “Delices des Quatre Saisons”. I love the serving dishes which make a good contrast to my white dinner service, looking appropriate at Christmas too. 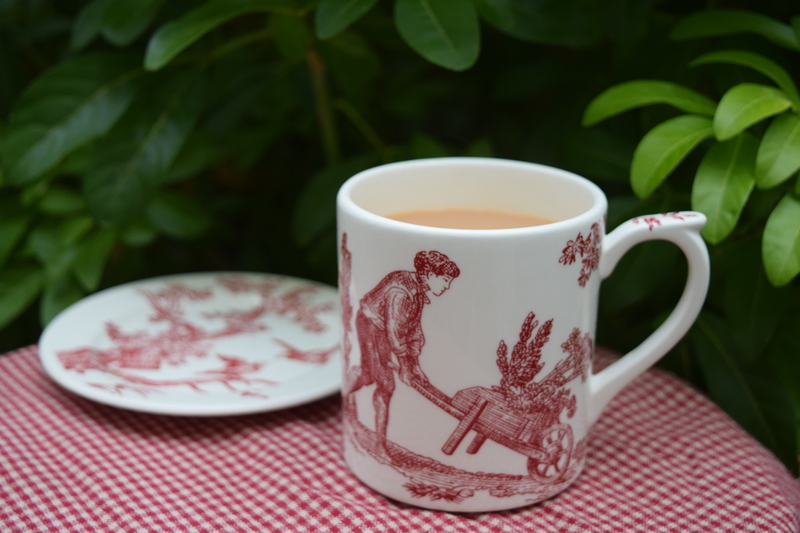 And of course when I’m in the garden, “Gien’s” Toile de Jouy mug is a perfect companion! Many companies,eg, “Laura Ashley” and “Annie Sloan” produce their own Toile de Jouy fabric ranges. Great post. My daughter saw Toile for the first time at Thomas Jefferson’s house and was very taken with it. Most of the design in Jefferson’s Monticello was copied from France. Maybe his fabric came from Toiles de Jouy.